Get Your Projects Ready for the 2014 America’s Transportation Awards Competition! It’s that time of year again … are you ready to nominate your state DOT’s favorite projects in the seventh annual America’s Transportation Awards competition? 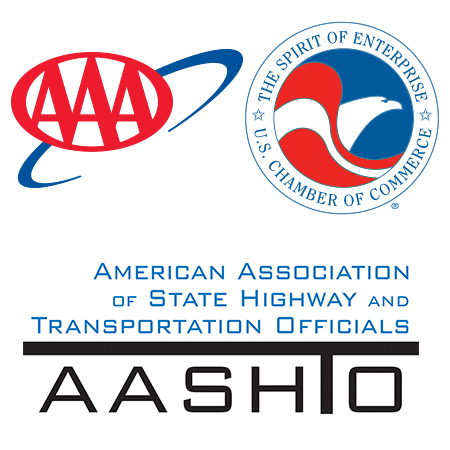 Starting next week, the American Association of State Highway and Transportation Officials, AAA, and the U.S. Chamber of Commerce will be accepting your nominations for America’s best transportation projects. Nominations will be accepted through April 11, 2014. This year’s competition features a new category, as well as a simpler, easier to complete nomination process to help states better tell their stories of budget victories, innovation and community improvement that the judges most want to hear. Under Budget—projects demonstrating transportation efficiency while promoting economic and fiscal responsibility. The award will go to projects delivered under budget and offer maximum performance. Best Use of Innovation—projects that showcase innovative management techniques and use of technology. Quality of Life/Community Development—a new category this year, here we honor projects that better connect people to their destinations and help grow communities. We are specifically looking for projects that enhance and support transit and non-motorized transportation. In the past, states could each nominate two projects. This year, we encourage states to enter three projects each, and those states that enter one project in each category receive extra bonus points during the judging process, so be sure to take advantage of that new benefit! Within those categories, projects are divided into three size groups: large (more than $200 million), medium ($26 million to $199 million), and small (less than $25 million). Projects first compete on a regional level (with regional winners announced throughout the summer), after which the 10 projects with the highest scores move on to compete for the national Grand Prize and the People’s Choice Award. The winners of those two top prizes are announced at the AASHTO Annual Meeting, held this year in November in Charlotte, N.C. Projects must have been substantially complete and open to use between Jan. 1, 2013 and Dec. 31, 2013, to be considered in this year’s contest. Questions may be directed to Maggie Kasperski at mkasperski AT aashto.org or 202-624-7757.